Adam has played the violin since he was five years old. His love of violins led him to the University of Kansas where he majored in violin performance. While in Lawrence he apprenticed with renowned luthier Amos Hargrave, and completed his first violin. Adam graduated from KU with a BA in Music Performance in 2011. In 2012, Adam began his studies at the Violin Making School of America in Salt Lake City. Adam graduated from the Violin Making School of America in the spring of 2015. Adam spent a brief time in working in the Philadelphia area before moving to Raleigh. 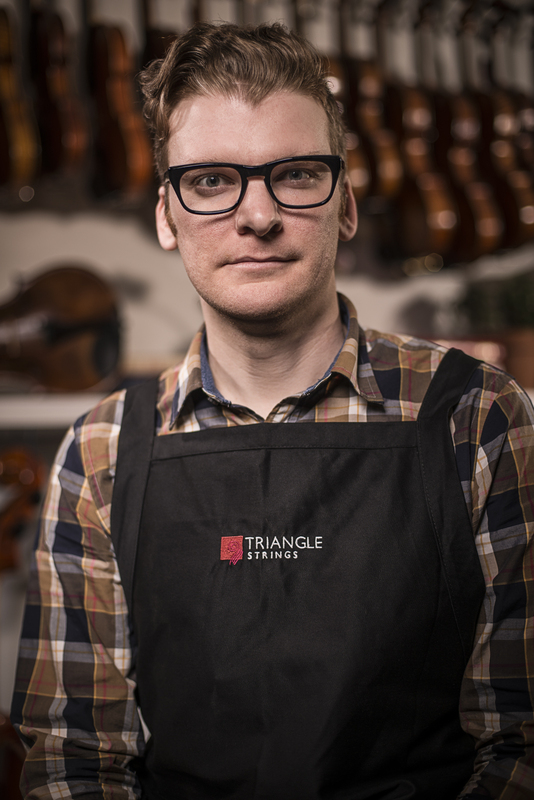 Since moving to Raleigh, Adam has become a a member of the Raleigh Civic Chamber Orchestra. He loves riding his bike around Raleigh, rock climbing and playing bluegrass bass.